There’s a voice inside that keeps trying to work its way to the surface. On this episode of the “From Corporate to Creative” show, we talk about that voice and the wake-up call, with guest Evelyn Kalinosky. Evelyn is a midlife mentor for business women who has been there in her own journey and turned her life into the legacy she will leave behind her. You’re a high-achieving, soulful businesswoman in midlife. You’re financially successful but feeling emotionally bankrupt. Your creativity wants to be reclaimed. You see opportunity to transform, but you’re stretched too thin to take it. You feel like you are free falling. You work yourself to exhaustion. And so, a little fun would appeal. You’re the successful caretaker–at work, at home–but you get pushback when you do something to take care of yourself. You’re a woman who notices what you won’t have if you never leap, and what’s missing since crisis hit. You’re ready to make your crisis an awakening. You’re ready to accomplish the life calling you’ve kept on the back-burner. You refuse to give up what’s important to you anymore. 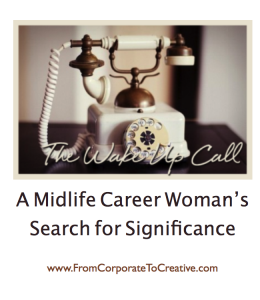 Our lives have a way of calling us to what they want to be, and never more so than when we reach midlife. When we ignore the calling, when we focus all of our sacred potential on the lives we made ourselves fit into in order to achieve in high performance careers, we risk facing a wake-up call that looks like crisis. The wake-up call. It’s the voice of your inner purpose that can no longer wait to be noticed. Your spirit’s evolution that needs attention at last. What’s the benefit of answering the voice? Your happiness as you define the next stage of your life and your success. The fulfillment of living your life’s purpose, and letting yourself live out that deeply-held dream. Evelyn Kalinosky is a certified coach and author of more than two dozen books and audio programs including the book “From Breakdown to Breakthrough: Seven Women Executives Share Their Turning Points”, and she is currently writing a book on career women navigating through midlife. She was named “1 of 101 Women Bloggers to Watch in 2011” by WE Magazine for Women, a “Fabulous 50 Top Blogger” by Boomer Diva Nation, and winner of “Best Coaching Blogs 2011 and 2012” by School of Coaching Mastery. In addition to being a coach, Evelyn is a speaker and poet. 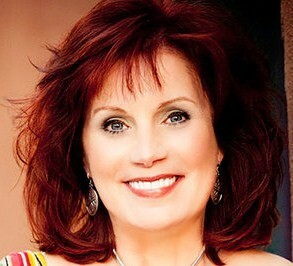 You can learn more about her and sign up for her award-winning ezine (and get some free goodies) at: www.InnerAffluence.com or feel free to email her at evelyn@evelynkalinosky.com.